This is a V-block clamp for a fork steerer. I will use it both for building forks and aligning them. 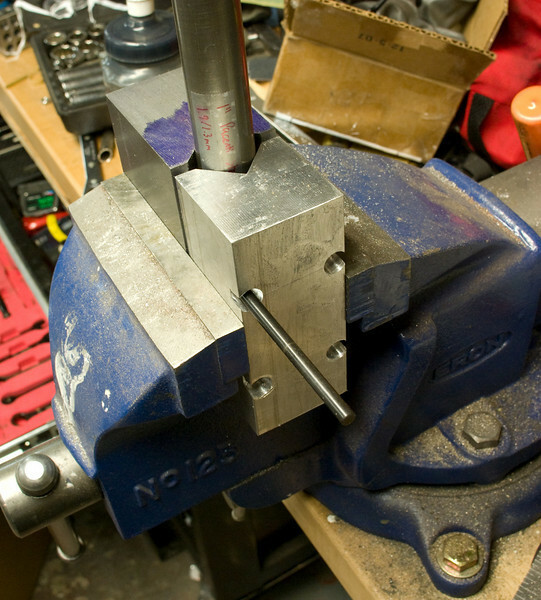 It is more or less a copy of a Bringheli but setup to mount to the T-slots on my alignment/fixture table. Transferring the location of the fixing holes from the cap to the base.